Scalability is the fundamental challenge in the design of algorithms for monitoring, controlling, and optimizing the assets of a power system. 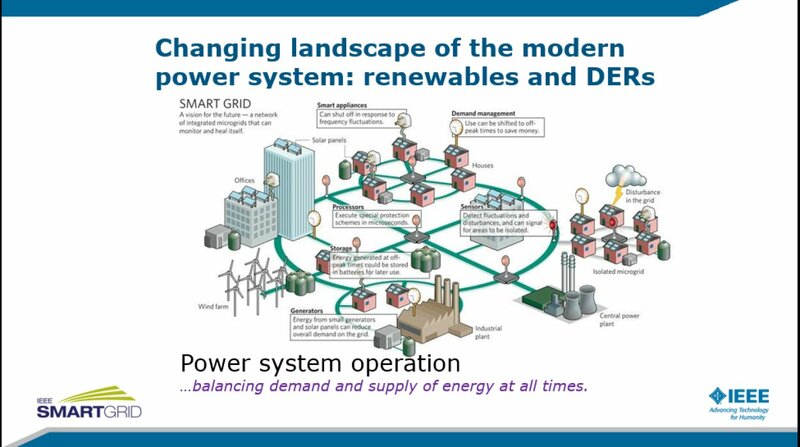 Adoption of distributed energy resources (DERs) is adding to the number of controllable devices. Integration of variable renewable production from wind and solar is making it necessary to account for multiple different scenarios in making dispatch decisions with uncertain supply. Addition of phasor measurement units and automated metering infrastructure is leading to the collection of a large amount of data that needs processing to provide meaningful information. Thus, system operations today require algorithms that are able to synthesize large volumes of data, produce actionable decisions within reasonable runtimes, and do so with provable performance guarantees. In this talk, I will provide an overview of the design challenges in solving large-scale optimization problems that are routinely solved in power system operation. I will discuss how these problems are compounded by the evolving landscape of the power grid, and then present various approaches to address them.